Yorkshire law firm Gordons has appointed a sector specialist to spearhead the ongoing development of its technology practice. Solicitor Ryan Gracey joins Gordons from the Leeds office of Addleshaw Goddard. He has more than 11 years’ experience advising on IT, intellectual property and technology law. Gordons’ technology sector clients include gaming platform SkyBet, global sports website and app provider Pitchero, logistics provider Advanced Intelligent Supply Chain and telemetry solutions provider Vianet. Gracey said: “Gordons is a progressive firm with an entrepreneurial attitude which it shares with clients. This attitude is particularly abundant in digital and technology businesses, making Gordons ideal advisers to the sector. Gordons employs 200 people in total. The firm’s clients also include retailers AO World, B&M, Iceland, Morrisons and Wren Kitchens; construction and high performance materials manufacturer Saint Gobain; and international brewers Molson Coors. Andy Brian, Gordons partner and head of commercial, said: “Ryan’s energy and expertise will drive the further expansion of our digital and technology sector specialism. Banker Chris Ibbetson has joined Reward Finance as a portfolio manager to handle the growing number of deals being generated by the SME funder. Ibbetson joins from Yorkshire Bank where he spent seven and a half years working within corporate and private banking. Initially he was handling corporate transactions including MBO/MBIs, leverages and PE deals before spending three years as a relationship manager for high net worth individuals. Ibbetson said: “I have known the directors at Reward Finance for many years and have always admired the way the company conducts business. “I am joining a fantastic team and looking forward to getting started and helping customers with their funding needs. Gemma Wright, commercial director at Reward Finance, added: “As a responsible lender, we pride ourselves on the relationships we build with our clients throughout the funding process. “Our Portfolio Managers are involved in a deal from the early stages to ensure that they fully understand the client and their business and they continue to work closely with them throughout the relationship to monitor progress and provide ongoing support. Listed games firm Team 17 has appointed a new CFO. The Wakefield-headquartered firm announced that its Chief Financial Officer, Paul Bray, has decided to step down and retire to spend more time with his family. Having joined Team 17 in 2010, Bray has presided over a significant period of financial progress for the Group culminating in the successful listing on the AIM market of the London Stock Exchange in May 2018. Jo Jones has been appointed as CFO and a director of the company with immediate effect. Jones has spent the last 10 years at Experian, working across a number of senior finance roles. Her most recent role at Experian was Finance Director of Service, Solutions, Technology & Transformation where she worked closely with Experian’s UK Chief Information Officer and Chief Transformation Officer. Prior to that she was Finance Director of Decision Analytics & Marketing Services and Commercial Finance Director for UK and Ireland. Jones has also held a number of finance roles with The Sytner Group, including Divisional Financial Controller for Daimler Chrysler and Lexus. She qualified as a chartered accountant at KPMG. Bray will remain with the business until 30 November 2018 in order to facilitate an orderly handover. Debbie Bestwick, Chief Executive of Team 17,said: “Firstly, let me personally thank Paul for his significant contribution to Team17 over the last eight years. Having supported me through the MBO and more recently our successful IPO, on behalf of everyone here at Team17, we wish Paul and his family well for the future. 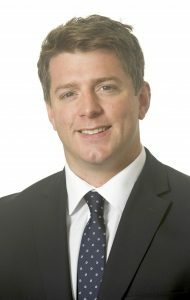 Lambert Smith Hampton (LSH), the commercial property consultancy, has promoted Luke Symonds to Director. Symonds joined 12 months ago to strengthen LSH’s presence across Yorkshire and the North East and heads its Capital Markets team, based in Leeds. He previously worked for GVA in Newcastle. Symonds acts for a wide range of funds, property companies and private investors with a brief to drive investment transactions and co-ordinate relationships between the office, industrial and capital markets teams across LSH’s Leeds, Sheffield and Newcastle offices. 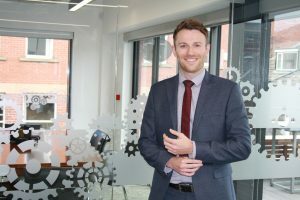 Luke Symonds, Director – Capital Markets at LSH, said: “I work closely with my talented colleagues throughout Yorkshire and the North East to maximise deal opportunities across the investment spectrum. We pride ourselves on this collaborative approach. “The regional investment market is in excellent shape, with no let-up in demand as Brexit approaches. Leeds is on course for record investment volumes while the Sheffield and Newcastle markets continue to perform. Jon Anderson, Head of Office – Leeds at LSH, added: “I congratulate Luke on this well-deserved promotion, which recognises his fantastic contribution to the business since joining our Newcastle team and the continuation of his efforts after moving to join us in Leeds. 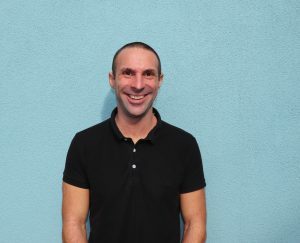 Journey Further, the Leeds-based digital media agency has appointed Chris Gorney as Client Strategy Director. In this newly created role, Gorney will report to Dan Peden, Strategy Director. Gorney will work across the full breadth of media channels and help clients to maximise their return on investment from their marketing activities. He joins Journey Further from ASDA where he oversaw media planning and performance and led the integration of a number of media effectiveness initiatives. Gorney said: “One of the biggest challenges advertisers face is understanding the value of and relationship between different channels. Being able to work directly with Journey Further’s clients and incredibly experienced team to solve these problems is a challenge I’m relishing. Peden added: “We’re serious about offering our clients direct access to the very best digital talent, which is why we’re thrilled to have Chris on board. He is hugely experienced when it comes to measuring the incrementally of media campaigns and proving ROI.